The independent optometrist at Seattle Eye is dedicated to helping you see better with professional services and state-of-the-art equipment. Call for an appointment today: 206-652-9000. Aetna, Aetna Vision, Blue View, Cigna, EyeMed, First Choice Health Network, Medicare Part B, MES Vision, Northwest Benefit Network (NBN) Vision Plan, Premera Blue Cross, Regence, Tricare, United Healthcare, VSP, Superior Vision. Call for more information. Whether it’s hiking in the mountains or exploring the coast, Dr. Jeffrey Fang enjoys all the Pacific Northwest has to offer. His life outside the office gives him a special understanding of how clear vision and healthy eyes can enhance our daily lives. 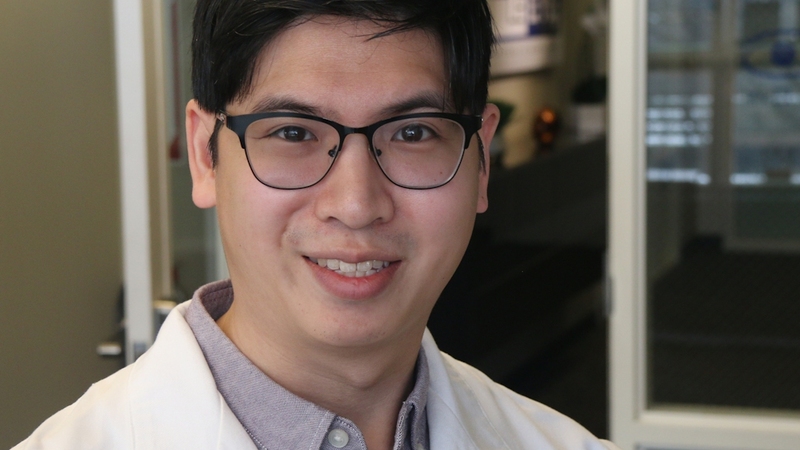 Dr. Fang recalls his interest in optometry came from his own positive experiences visiting the eye doctor for annual checkups. Growing up in Michigan, he ran track and played basketball—two sports that gave him an appreciation for the importance of good eyesight. He graduated from Albion College with a degree in biology and a concentration in neuroscience. After traveling overseas, he returned to Florida earning his Doctor of Optometry degree from Nova Southeastern University – College of Optometry, where he was a member of Beta Sigma Kappa, the optometric honor society. In his spare time, Dr. Fang is also a classical pianist. When he’s not playing Grieg or Rachmaninoff, he has been known to play guitar in a band. Escaping the humidity of Ft. Lauderdale, Dr. Fang practiced optometry in Silverdale, Washington before establishing his practice at Seattle Eye. He values spending the time to know his patients and ensuring that their individual eyecare needs are met. Dr. Fang and his team look forward to meeting and serving you and your family. Monday, Wednesday*, Thursday, Friday: 9:30 a.m. – 5:30 p.m.
Tuesday: 12:30 p.m. – 7:00 p.m.
Saturday*: 11:30 a.m – 3:30 p.m.
To request an appointment, please click here. To access the Patient Portal, please click here. *The clinic is open alternating Wednesdays and Saturdays on a biweekly basis. Former providers: For the convenience of former patients to identify their former providers and verify Seattle Eye as the custodian of their records, Benjamin Crowell (2013-2017), Laura Periman (2011-2013), Holly Lebar (2010-2013), Brian J. Carey (1999-2010).